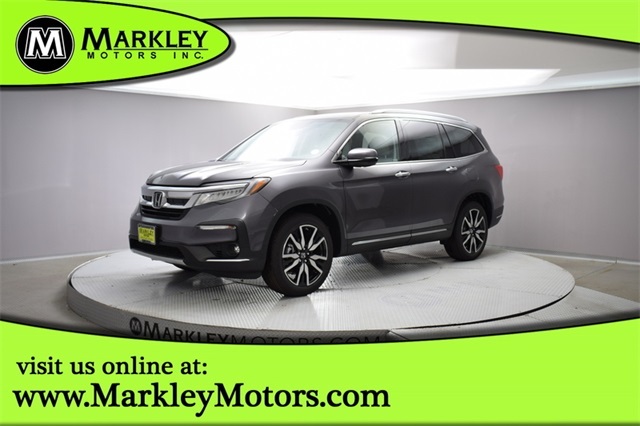 Our luxurious 2019 Honda Pilot Touring 4WD shown off in Modern Steel Metallic is simply outstanding! Powered by a 3.5 Liter V6 that offers 280hp while tethered to a reliable 9 Speed Automatic transmission for easy passing maneuvers. This Four Wheel Drive SUV sets you up for any adventure with plenty of power, agile handling while attaining great mileage on the open road. Our Touring is sleek and sporty with its distinct grille, LED daytime running lights, fog lights, a power tailgate, and gorgeous alloy wheels. Our Touring cabin has premium features and plenty of room for 8 and all their gear so that everyone can join in on your adventures. 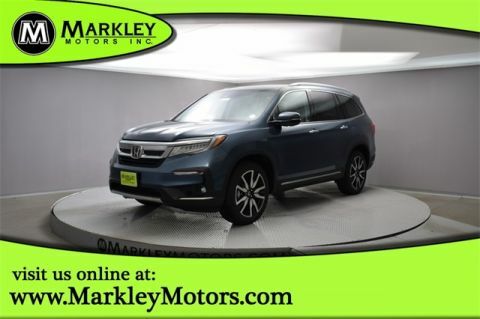 Remote engine start, blue ambient lighting, a 60/40 split folding third-row seat, tri-zone automatic climate control, a sunroof, leather-trimmed seating, second-row heated seats, and power adjustable heated front seats help to set the stage for happy travels. 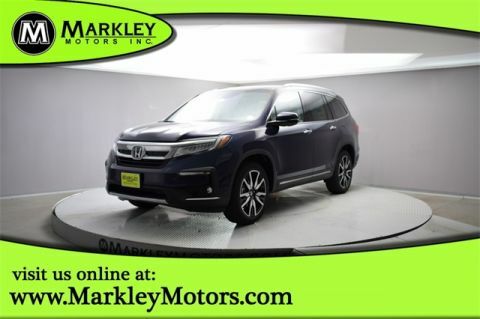 You're never far from the information you need thanks to our prominent central display, satellite-linked navigation with voice recognition, Bluetooth, HondaLink, Apple CarPlay/Android Auto, SMS text message function, and a premium audio system with available satellite radio and Pandora compatibility. The kids in the back even have a Blu-ray DVD entertainment system. 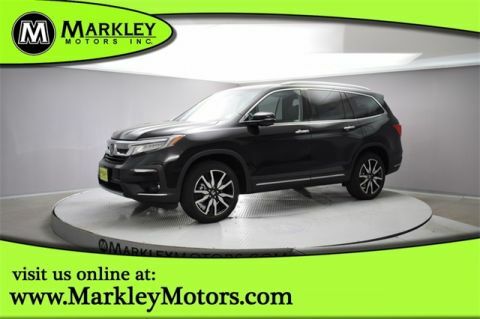 Our Honda has also received excellent safety scores with Honda Sensing including road departure mitigation, lane keeping assist, collision mitigation, adaptive cruise control, and other safety features. You need transportation that's as versatile and stylish as you, so climb inside our Pilot today. Print this page and call us Now... We Know You Will Enjoy Your Test Drive Towards Ownership! We Value You As A Customer And Look Forward To Showing You What The MARKLEY DIFFERENCE Is All About. We've Been In Business For 82 Years For A Reason! Call Us Now At MARKLEY MOTORS At 1-970-226-2213.